Designed for 4.0-5.0 liter engines and able support up to 620 horsepower at the crankshaft. 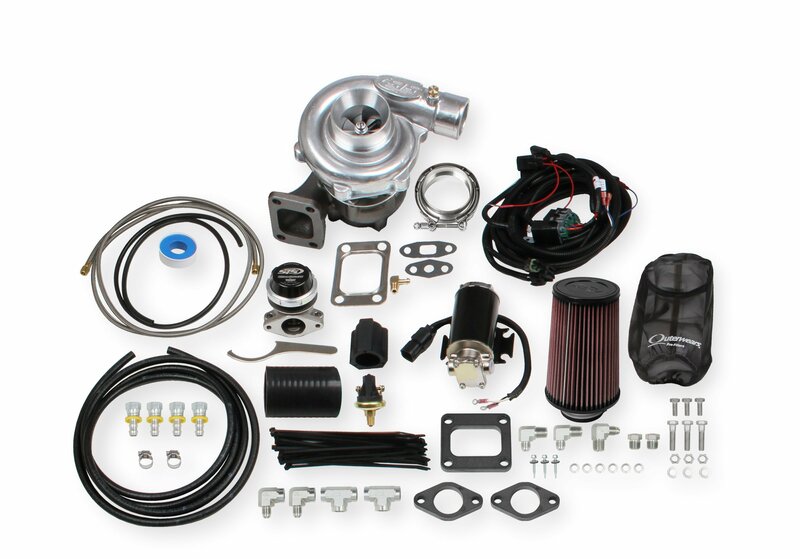 This kit does not include exhaust tubing, air intake tubing, or blow-off valve. All hot side and cold side piping will need to be fabricated. 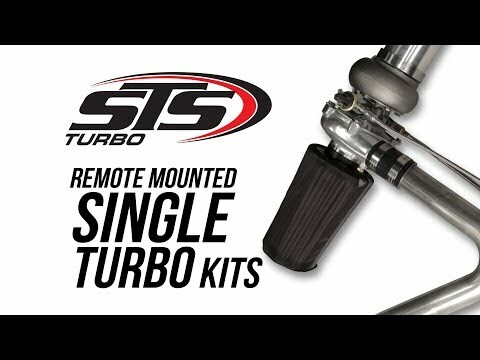 This remote mount single turbo kit gives you the groundwork to install a STS Turbo patented remote mounted turbocharger on almost any vehicle. The kit is designed for 4.0-5.0 liter engines and able support up to 620 horsepower at the crankshaft. 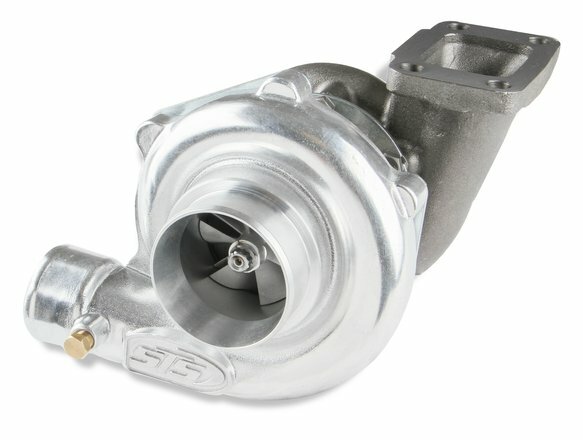 STS Turbo overcomes the challenges of traditional installations by mounting the turbo in a remote location such as in place of the stock muffler, down low in the chassis, or even in the bed of a truck—basically it can be mounted anywhere since oil return is handled by our patented oiling system. This allows you to retain stock exhaust manifolds, catalytic converters, and mid pipes. The stock intake and throttle body are also able to be retained if desired. 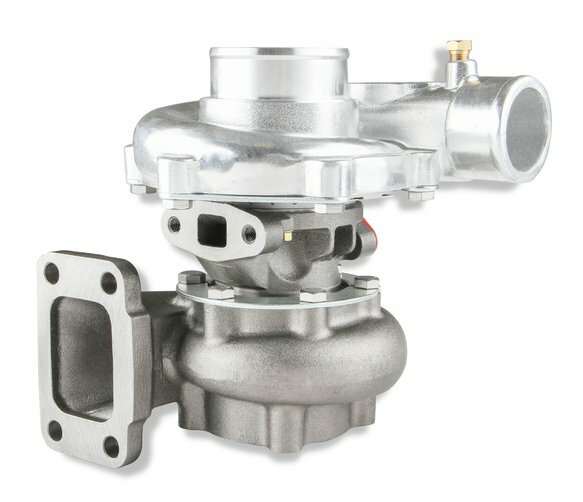 Relocating the turbo to a remote location helps avoid adding additional heat under your hood and you won't have to worry about clearance or interference issues with the belts, pulleys, or accessories in the engine bay. STS Remote Mount Multi Fit Turbo Kits include turbocharger, wastegate, air filter, patented oiling system, necessary turbo mounting flanges, along with a full color installation manual to walk you through the installation. 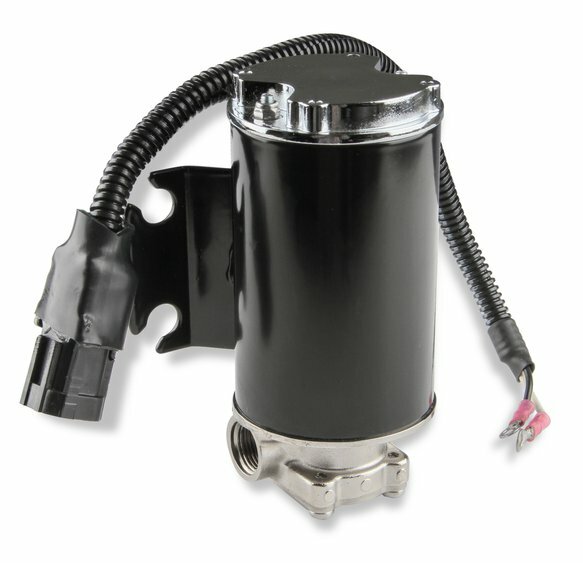 Allows the flexibility to design a remote mount turbo system for most any vehicle. 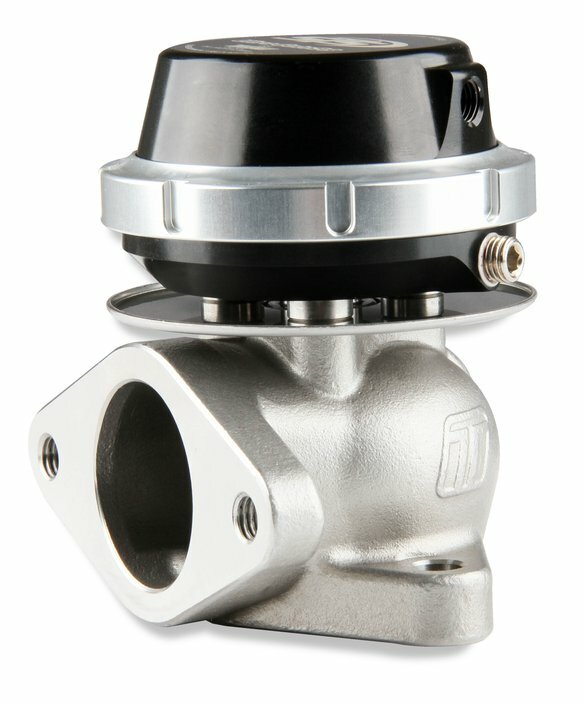 Remote-mounted design eliminates increased under hood temps while also decluttering the engine bay so normal repairs and upgrades can be done without removing turbocharger and tubing. Provides a unique performance sound since the turbo acts as a muffler—this distinctive sound is sure to turn heads! This remote mounted kit is custom engineered to spool quickly, while eliminating all of the installation and excess heat issues of a front-mounted turbocharger. The turbo utilizes wasted energy leaving your tailpipe and many see 1-3 mpg increase in gas mileage compared to their original stock mpg numbers along with lower emissions. Approximately 500 deg F lower turbo temperatures eliminates the need for a turbo-timer, which requires the engine to run after the car is shut off in order to cool down the turbo and prevent oil and bearing damage. Turbo is exposed to ambient air rather than under-hood air which allows for better cooling of turbo components. 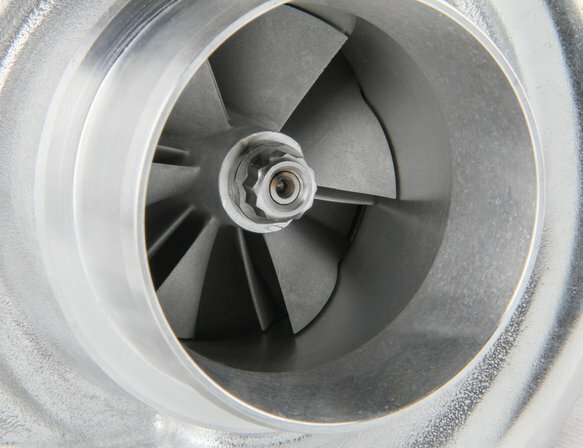 Denser exhaust gasses drive the turbine wheel more efficiently. Offers better weight transfer and increases traction because majority of the kit is mounted down low or to the rear rather than up front. Kit includes turbocharger, wastegate, wiring harness, air filter, patented oiling system, necessary turbo mounting flanges, along with a full color installation manual. Does not include exhaust tubing, air intake tubing, or blow-off valve.